"A lot of kids grow up with imaginary friends." It's not often you get an imaginary friend who has the capacity to break things. Typically, imaginary friends are a bit more stabilizing and give the "owner" the opportunity to express some pent-up creativity. In Bad Kitty #1 from Dynamite Entertainment, Kitty is an imaginary friend who wants to express some pent-up rage. 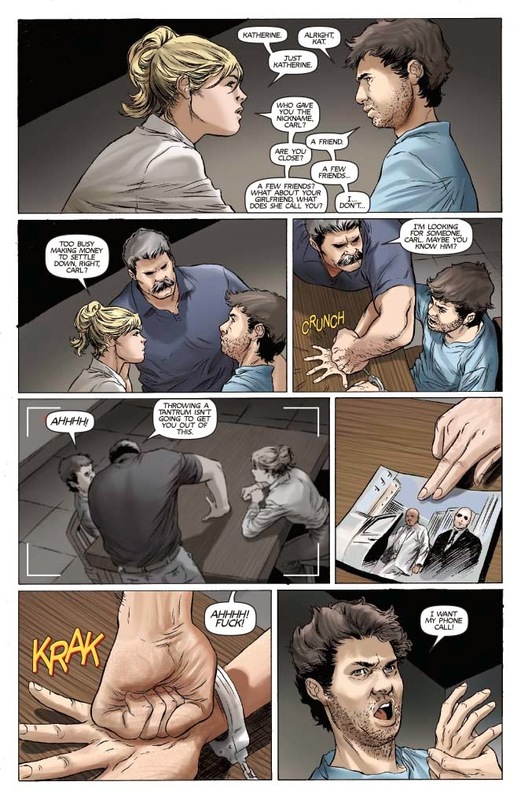 The issue is written by Jay Spence, illustrated by Carlos Rafael, colored by Marcelo Pinto and lettered by Marshall Dillon. Before Det. Katherine Bell became a dedicated officer of the law, she was a young, troubled girl with a dangerous coping mechanism in the form of her alternative, psychopathic personality, "Kitty." As an adult, Katherine had managed to bury her dangerous alter ego deep inside her mind while she pursed the enigmatic drug-lord known only as Domiko. Few people have ever seen Domiko in person and his vast network of criminal operations have made him impossible to locate until Katherine finally has a lead which puts her in harm's way. After a near-fatal attempt on her life, Katherine's mind is opened and "Kitty" is back. Katherine and "Kitty" now face a battle of the mind as each personality struggles to take control. Katherine strives to uphold her duty as an officer while Kitty has her own grudge to settle...and Kitty's never let morality or the law get in her way of getting what she wants. Bad Kitty #1 has all the makings of a rather formulaic buddy cop movie. 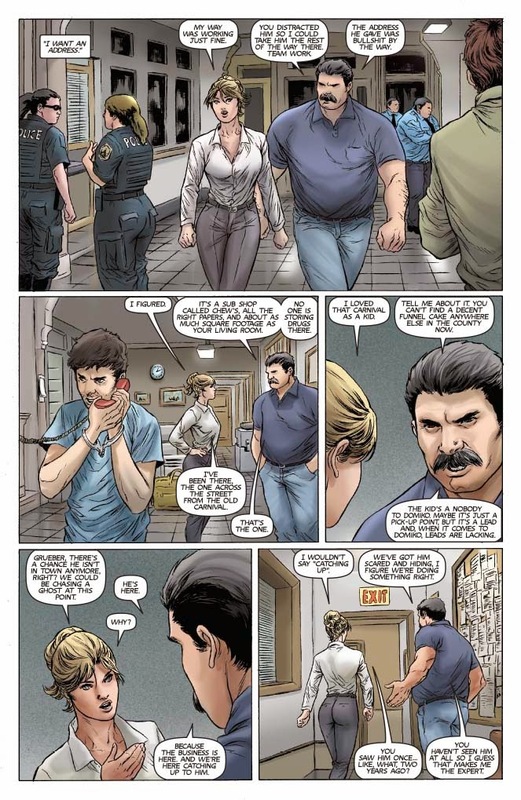 Bell and her partner Grueber have a predictable dynamic shared between the two of them, where Bell is more of the buttoned-up cop while Grueber is a little more of a loose cannon. Spence capitalizes on that contrast to make the appearance of Kitty have a lot more emphasis, as she comes in with more fire than Grueber. The pacing of the issue feels a little erratic at times, with the story moving from origin story to present day back to origin story in a way. It doesn't hurt the issue, but it does feel a little stilted at times for the reader. Rafael capitalizes on empty gutters for the illustrations, allowing the stark white background to give the characters top-billing. He does a good job differentiating Bell and Kitty enough where they appear different from one another (with obvious design changes), even if the reader knows that they're really the same person. Many of the characters throughout the book seem a little rigid and some even seem to exhibit similar body poses for different situations. The square and rectangle panels are pretty safe as well, with Rafael drawing on familiar grid layouts. 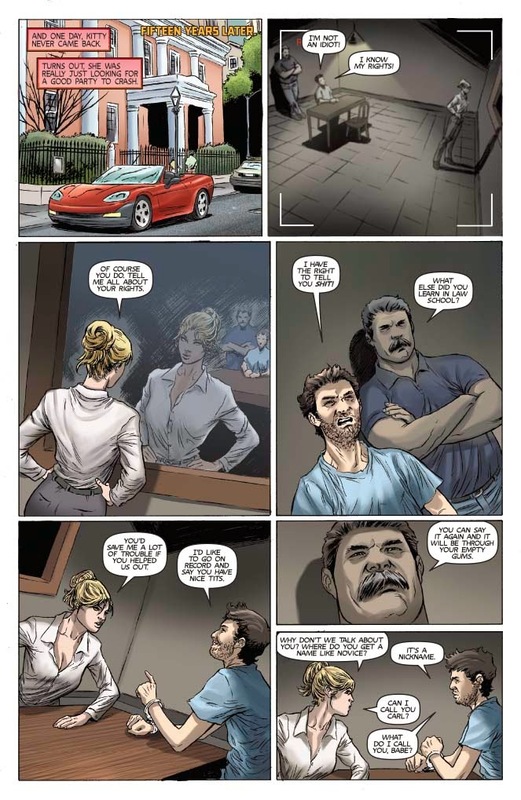 Bad Kitty #1 is a police procedural at its core that offers up a slight twist on the traditional dysfunctional cop partnership by throwing in a third entity. Bad Kitty is just what the name implies as well, as she's a character who seeks out revenge to make up for a troubled past. 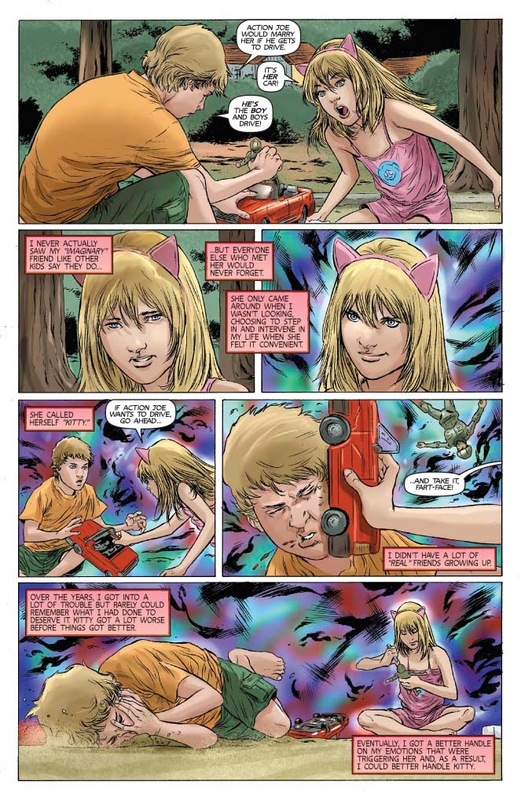 Spence's story is somewhat predictable in some respects, but he does offer some twists through the inclusion of a wild card character like Bad Kitty. Rafael's illustrations feature characters who showcase relatively ho-hum expressions throughout a multitude of situations. Bad Kitty #1 is an interesting one-shot that offers a pretty unique take on buddy cops. Bad Kitty #1 is in stores now with interiors below.